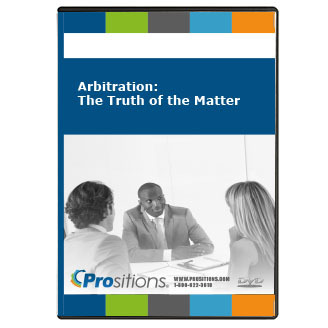 When a dispute goes to arbitration, the stakes are high. 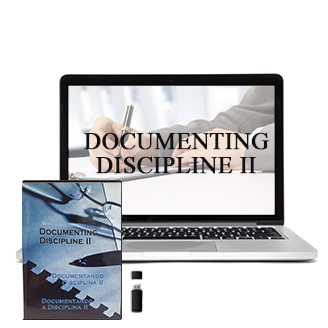 An organization’s management policies and an employee’s career may hang in the balance. It’s no time to rely on trial and error. 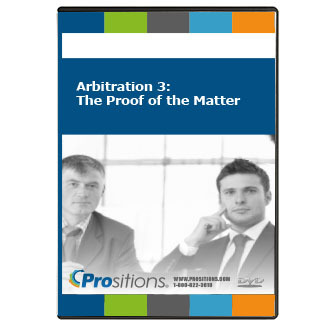 Arbitration: Proof of the Matter is a unique new way for everyone involved in arbitration to learn how to prepare for the hearing, to make their mistakes, and learn from them in the training room, not in the hearing room.